This beautiful book charts the development of the circus as an art form around the world, from antiquity to the present day. Using over 200 circus related artworks from the French National Library’s private collections, celebrated cultural historian Pascal Jacob tells the story of travelling entertainers and their art and trade. From nomadic animal tamers of the Dark Ages to European jugglers and acrobats of the 1800s, from the use of the circus as Soviet propaganda to the 20th-century Chinese performance art renaissance, this is an exhaustive history with a uniquely international scope. Jacob draws on both rare and famous artworks, including prints dating from the 13th century, and paintings by Picasso and Doré. In doing so he demonstrates the circus to be a visual and physical masterpiece, constantly moving and evolving, and just as exciting an experience for audiences now as it was 1,000 years ago. 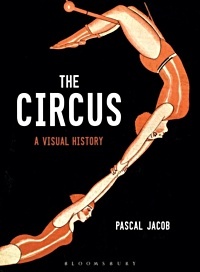 Pascal Jacob is a prominent circus arts historian who lectures at the Sorbonne, France. He wrote on Cultural History, History and Theory of Art, Theatre History and Criticism.